Our energy efficient, submersible pumps carry a 1 year to 3 year warranty and range in flow of 210gph – 6,500gph. 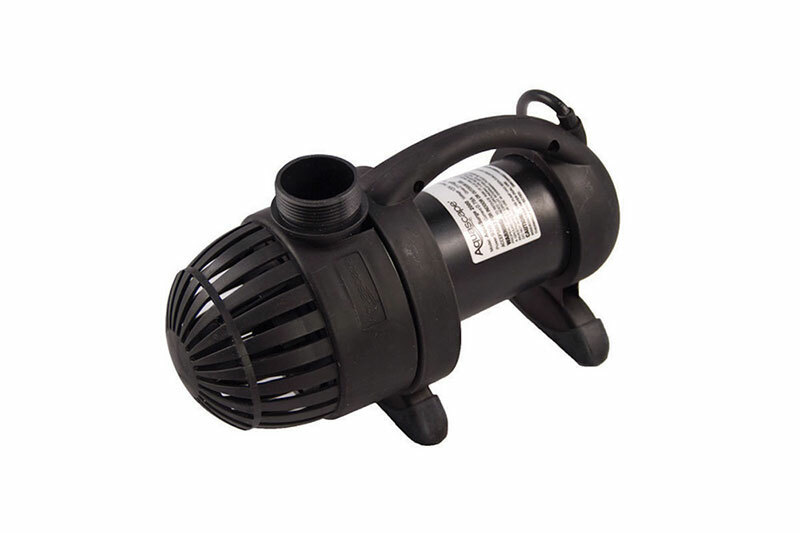 The flow of water that you want and/or need is determined by what size pump you use. The rule of thumb is your size pond (in gallons) should be circulated atleast once an hour. For example: A 1,000 gallon pond should have atleast a 1,000 gph pump.